We are one of the few clinics who is trained and performed numerous adult & Teen circumcision using the newest techniques. Dr. P. Nourparvar is one of the few doctors in USA offering the newest technology in Adult Circumcision. We offer more than four techniques not offered in other surgery centers. These new FDA approved techniques have many advantages including faster operation time, faster recovery, better cosmetic outcomes. Few surgeons in America are trained in these techniques and its mostly offered in Europe. Dr. Nourparvar is one of the few doctors in America currently offering these techniques. Sutureless Circumcision has much better cosmetic appearance with less pain post-operatively. Return to work is much quicker and this option is recommended for those patients who want to have minimal time off work, those who are anxious about post-operative pain or those individuals who wish to have a minimally visible scar line after healing. This technology uses skin binders in place of multiple sutures that often leave ugly track scar marks. 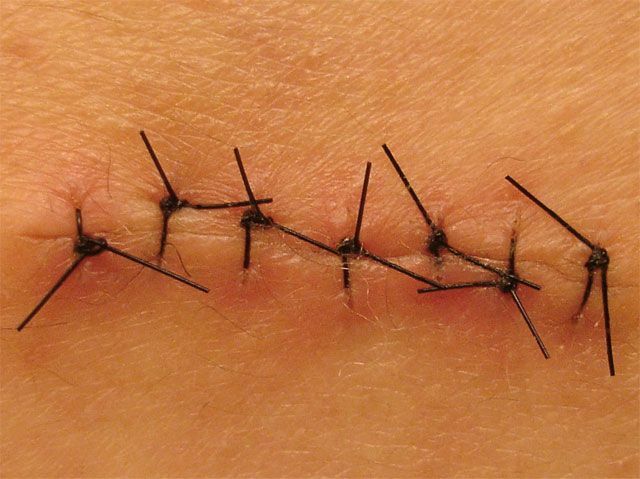 Please note that even absorbable fine sutures can leave track marks. We use fine suture as back up. Dr. P. Nourparvar is one of the few doctors in USA & Los Angeles offering the new technology of needle free in Adult & Teenage Circumcision. We are proud to be the premier location for the advancement in medical technology and patient comfort in Southern California. We have introduced our needle free injector for a more comfortable and painless experience. There are many advantages in using needle free injectors and it is elected to replace traditional injections in the near future. They allow injections with very small doses of medicine with significantly faster onset and a lot less pain and discomfort.ques. Ultrasound guidance allows the doctor to see under the skin before the Adult & Teen Circumcision. The needle can also be seen on the ultrasound screen as it goes into the skin. Because the doctor can see exactly where he is placing the injection, the procedure is quick, and often less painful than a blind injection. There is also a lesser likelihood of complications, like nerve damage, from accidental injection into a nerve. Hi Immanuel adult and interested in having done the Circumcicion. Do you guys take Insurence?